Michael O. Adams is the Director of the Master of Public Affairs Graduate Program (MPA) at TSU’s Barbra Jordan-Mickey Leland School of Public Affairs (SOPA). Alongside his duties as Director, he is a Professor of Public Affairs. Adams assumed the position of both director and professor in 2005 after matriculating through the ranks of professorship as a dedicated member of the Texas Southern University team since 1983. Adams serves as a Faculty Consultant for The College Board – Education Testing Service in Princeton, New Jersey. He also serves as a member of the Houston Community College Public Administration Advisory Board and as a Reviewer of The American Review of Politics. As an avid scholar in the Public Affairs arena, he has co-authored several books including Readings in American Political Issues and Public Administration both published by Kendall-Hunt Press. Adams also has been published in the Journal of Service Science; Encyclopedia of African American History; International Journal of Education Research and the European Journal of Social Sciences. During his tenure at TSU, Adams has served on the Faculty Senate; the University International Studies Committee (Asian Studies) and SOPA’s Academic Grievance Committee. Adams currently serves as Chair of the University Institutional Effectiveness Committee, a part of the TSU Tomorrow Committee. In 2008, he was honored with the Texas Southern University Research Scholar Award, School of Public Affairs Research Scholar Award and the Quiester Craig Teaching Award. 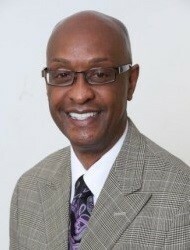 Adams earned his BA degree from Touglaoo College, and his Masters and Doctorate Degrees from Atlanta University.